Former President John Dramani Mahama today called on the founder of the National Democratic Congress (NDC) at his office in Accra. The two former presidents centred their discussions on the re-organisation of the party, the upcoming regional and national executive elections as well as the presidential primaries for the party. Mr Mahama stated the need to consult the founder on party issues and commended him for re-energizing the party’s Council of Elders and participating actively in its meetings. He indicated that a re-energised Council of Elders will instil a strong sense of order in the party structure. On his part President Rawlings expressed the hope that candidates with the ability and capacity would be allowed to evolve from the electoral processes in the party. He stated that he will not be a stumbling block to any candidate in the upcoming elections. He would have wished that more attention was given to the rebuilding of the party machinery over the prioritization of the party’s presidential primaries at this moment. Former President Rawlings found the recent utterance by the National Organiser of the party, Kofi Adams to the effect that a presidential candidate aspirant in the person of Second Deputy Speaker of Parliament, Alban Bagbin was out to destroy the party as inaccurate. He posited that the destruction of the party begun especially when the party unduly interfered in the last competitive Presidential Primary elections in Sunyani by the systemic monetization of the process and the postponement of the congress on two occasions ostensibly to favour one candidate over the others. 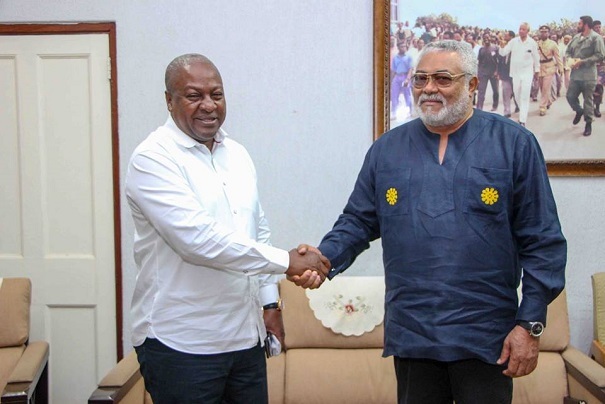 Mr Rawlings also cautioned against party members issuing statements preventing other presidential aspirants from campaigning in certain locations as happened in the Ashanti Region recently. He condemned a similar situation emanating from the disrespectful comments from Mr Freddie Blay against Togbi Afede XIV and the subsequent rebuttals. He asserted that nobody has the authority to issue such fiats in this country. He called on the party leaders to help restore the moral stance of the party and be seen condemning utterances which tend to promote undemocratic tendencies in the party. 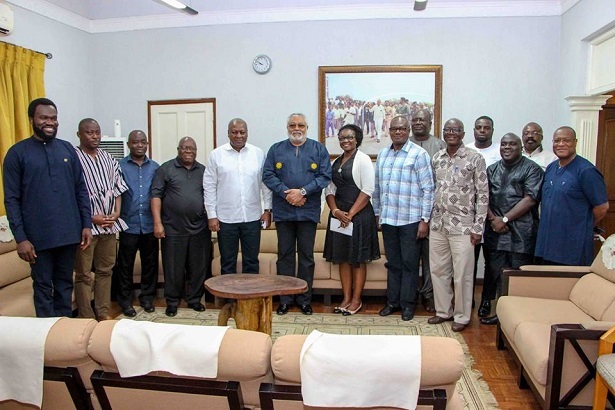 The meeting was attended by some past senior appointees of the party including former chiefs of staff Julius Debrah and Prosper Bani, former Minister of Health, Alex Segbefia, Joyce Bawa and Special Aide to former President Mahama. Also in attendance was Ambassador Dan Abodakpi, Edward Bawa, Samson Ahi, Dr Donald Agumenu and Dr Kwesi Djokoto.